Who needs brunch? This weekend's events include boat shows, parades and festivals to mark the beginning of boating season. Want to do something fun this weekend? Is mom's favorite restaurant no longer taking reservations for brunch on Sunday? Are you looking for an excuse to continue your Cinco de Mayo party beyond Thursday? We've got the solution. 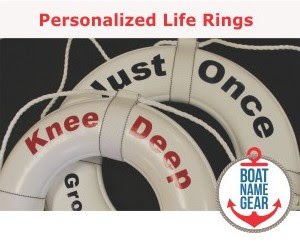 There just may be a boat show, opening day festival, blessing of the fleet ceremony, or a boat parade going on near you! Seattle and Lafitte seem to be having the biggest celebrations this weekend to kick off the boating season. In Seattle, the festivities include a blessing of the fleet, a boat parade, and a general carnival-like atmosphere. Lafitte sounds like fun, but bring your appetite. The Times-Picayune states that Lafitte's Blessing of the Fleet Festival will "feature food including fried shrimp, catfish, oysters, jambalaya, gumbo, beignets, hamburgers, hot dogs, nachos, french fries, sweets, beer, soft drinks and daiquiris." There's also stuff for the kids: "Special attractions include the Equestrian Angels, a petting zoo, horseback riding, raffles, games and more." A couple of unique events are happening for boaters this weekend, more notable for what is missing versus what is actually there. No Motor Weekend is this weekend at Scotts Flat Reservoir, Nevada County, California. Nonmotorized watercraft, including sailboats, canoes and kayaks, will be allowed entry without charge for the day. Use of motorized boats will be suspended for the entire day. You can also leave your motorboats at home for CRBI Waterfest XI at Ridge Ferry Park in Rome, Georgia. Bring your canoe or kayak, and bring the kids! If you're on the west coast of FLA this weekend, check out the Cedar Key Small Boat Meet, but don't expect any organization or agenda. This event sounds like it was produced by the writers of Seinfeld, and given that the event is in its 27th year, they seem to be enjoying as much success as the popular sitcom without a plot. "There are no fees to participate, no registration forms to complete and no scheduled activities." As promised, there are some actual boat shows this weekend, but mostly overseas. The Sandbanks Boat Show is Saturday and Sunday in the UK, and the Hong Kong Gold Coast Boat Show is Friday through Sunday. The Palma International Boat Show continues from last weekend through this Sunday. Here at home we've got the NC Maritime Wooden Boat Show in Beaufort, North Carolina. SailQuest is coming to Connecticut next weekend, May 13 - 15, 2011. 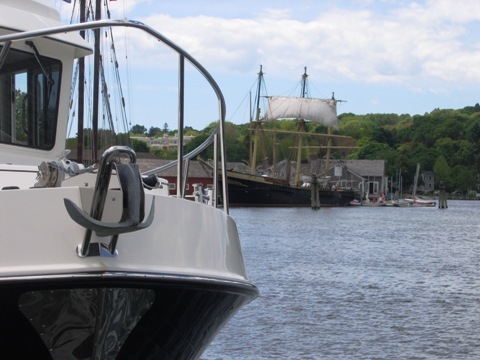 This in-water boat show is located on the grounds of historic Mystic Seaport, and despite the name, the show will feature both sail and power boats. 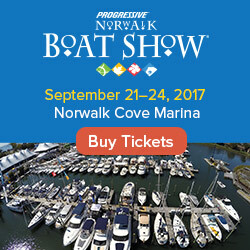 Discounted boat show tickets can be purchased online in advance for a substantial savings. For the coupon code and more information about the show, visit the SailQuest page at Windcheck Magazine's site. Details about these and other boating events this weekend, including links to the official show websites, are on our calendar of boat shows.